In an isolated community in the Peruvian Andes, a series of mysterious disappearances has occurred. Army corporal Lituma and his deputy Tomas believe the Shining Path guerrillas are responsible, but the townspeople have their own ideas about the forces that claimed the bodies of the missing men. This riveting novel is filled with unforgettable characters, among them disenfranchised Indians, eccentric local folk, and a couple performing strange cannibalistic sacrifices. As the investigation progresses, Tomas entertains Lituma with the surreal tale of a precarious love affair. Death in the Andes is both a fascinating detective novel and an insightful political allegory. 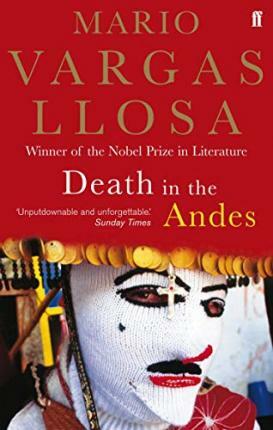 Mario Vargas Llosa offers a panoramic view of Peruvian society, from the recent social upheaval to the cultural influences in its past.